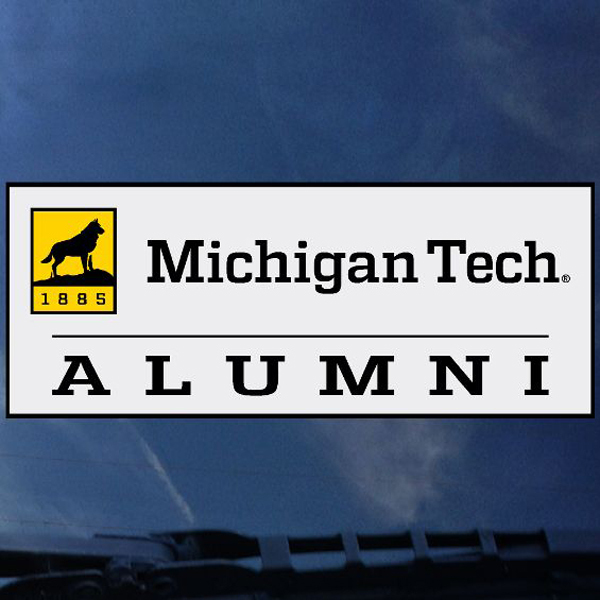 #43Z MICHIGAN TECH ALUMNI EXTERIOR DECAL FROM CDI. AUTOMOTIVE DECAL. ADHERES TO ANY SMOOTH GLASS, METAL OR PLASTIC SURFACE. REMOVABLE WITH NO RESIDUAL EFFECT. WEATHER AND FADE RESISTANT. APPROX. 3" X 6.5". MADE IN THE USA.